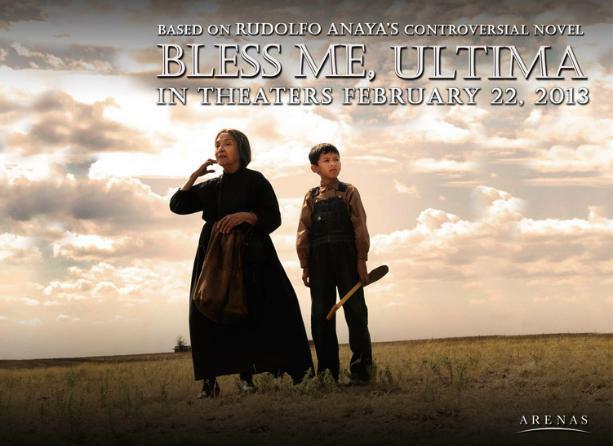 The title to the movie, Bless Me, Ultima, carries the key to unlock its magic and riches, for blessings rain down on those who seek to understand. Isn’t that the ultimate goal of life on earth? Antonio’s older brothers return from the war changed men. Perhaps because his mother wants her youngest child to become a priest, Antonio’s mind is filled with questions about the nature of man, and of good and evil. It’s post-WWII in the United States, and many Americans have these questions in their hearts. You’ll find all the elements of a coming-of-age tale in this movie: violence and kindness, expectations crushed, hope renewed, mysteries revealed, love and humor. This is the only movie of which I’m aware that shows a female shaman guiding a young male in his perceptions. That alone sets it apart. The Tao Te Ching says, "A shaman has mastered Nature; not in the sense of conquering it, but of becoming it." Her gentleness, strength and knowledge is the same as Merlin’s in Sword in the Stone or Miyagi in the Karate Kid, but we’re not in a fantasy medieval world or in California. We’re in real post-war New Mexico. The setting is a part of America a few of us have been fortunate enough to have visited, and where some of us (me) have been blessed to grow up. The sweeping yellow vistas of the llano (plains) where Ultima and Antonio go to collect herbs are gorgeous. One can almost feel the sun and smell the wind that sweeps across the river. 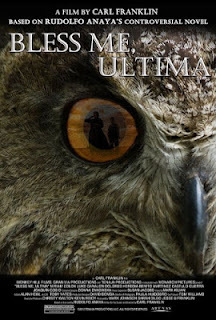 Ultima is one with her world and the role she plays in it, and her appreciation of nature is passed to Antonio. These are the peaceful moments, but Antonio’s young life is rife with violence. He sees two men killed and his friend drowned. Because of his innocence, he is a channel Ultima uses to combat true evil. Then, she is accused of being a witch. “You must find your own truth,” she tells Antonio. Folk beliefs occur in all cultures and all parts of our country. For Antonio, the battle is between staunch old-school Catholicism and the spiritual connectedness with all on earth that he learns from Ultima. He understands that he must think for himself without any disrespect for his heritage which emphasized tradition and obedience. He loves Ultima, and has a profound respect for her. 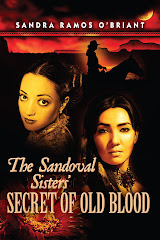 Based on Rudolfo Anaya's award-winning and banned novel (in Az.) of the same name. The book was required reading for my sons in high school. Carl Franklin both directed and wrote the screenplay. The cast, led by Miriam Colon (Ultima) and newcomer Luke Ganalon (Antonio) take us on an unforgettable journey. Take your friends and family to see this movie. The history, the family, the boy, and Ultima will guide you home. I've read the book and loved it. Now, reading your review, I think I'll have to see the movie. Thanks, Sandra! Susan, the movie is gracious with nature, and I think you'd appreciate that. How it addresses human nature has to be seen through Tony's eyes. Enjoy! Ultima was feared and thought to be a witch by most of the characters in the book and movie. The dolls she made seemed like witchcraft to me. Her actions and beliefs were pagan which Antonio knew conflicted with the Church. Antonio's beliefs were very much the same as the author Anaya's. Yes, the dolls were witchy. Ultima had power that most people don't and that's why they feared her. The Church taught that the power over life and death resides in God. All good reasons to fear and respect Ultima.